Today we will be looking at the post WWI light cruisers. Since there is more information available about the actually build cruisers this article will be a little more detailed than the previous posts. I hope you don’t mind. After losing the first world war Germany was bound by the Versailles treaty. The production of new ships was strictly limited as well as the composition of the fleet. 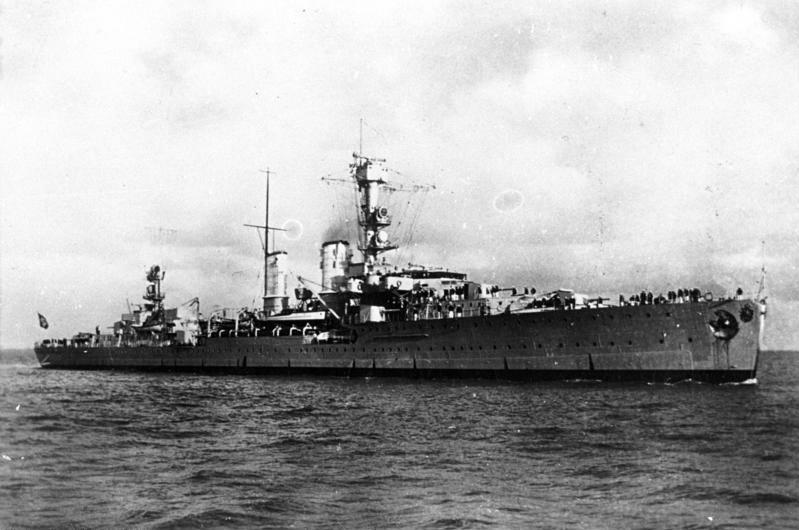 The Reichsmarine(German Navy 1921-1935) was allowed six cruisers with a limitation of 6000 tons displacement. Ships were only to be replaced after 15-20 years, depending on class. No development of armament technology was allowed. After founding the Navy in 1921 it was soon decided that a training ship was needed to teach seamanship. The design was inspired by the Cöln class (1914) but never intended to participate in combat. The armament should have consisted of 4x2x150mm but the Allied military commission denied permission to develop the dual turrets. Therefore Emden was fitted with 8x1x150mm guns (2 at the bow, 4 midships and 2 aft), surplus from the first world war and 2x2x503mm torpedo tubes(4×2 was intended). After four years the ship was completed in 1925 and went on various cruises around the world. In 1933 the coal fired boilers were replaced with oil fired ones. Speed remained at 29 knots. Additionally 4×2 533mm torpedo tubes replaced the two old launchers. AA consisted of 2 88mm guns, a third was added in 1934. Between 1938 and 1945 a total of 9x37mm and 6x20mm anti-air guns were installed. A refit featuring 4 of the 150mm dual turret from the Zerstörer 1936A was never realized. Basically a Phoenix or a Kuma. Little to none armor, okayish guns and a couple torpedoes. Not bad, but nothing to get excited about. The gun upgrade could be included to increase your broadside punch. Germany’s first combat cruisers after the great war. Designed to bring a serious punch to the battle and good speed in mind armor protection was sacrificed as well as stability (one ship nearly broke apart in a typhoon). Engine power was rated 65000 shp (shaft horsepower) but was exceeded to 68000 shp in trials giving 32,5 knots (32 with regular power). The intended role of the K class was scouting for a main fleet so two of the three turrets (3x3x150mm) (this time the allies allowed development of a new turret design) were aft in a superfiring position to cover a possible retreat. 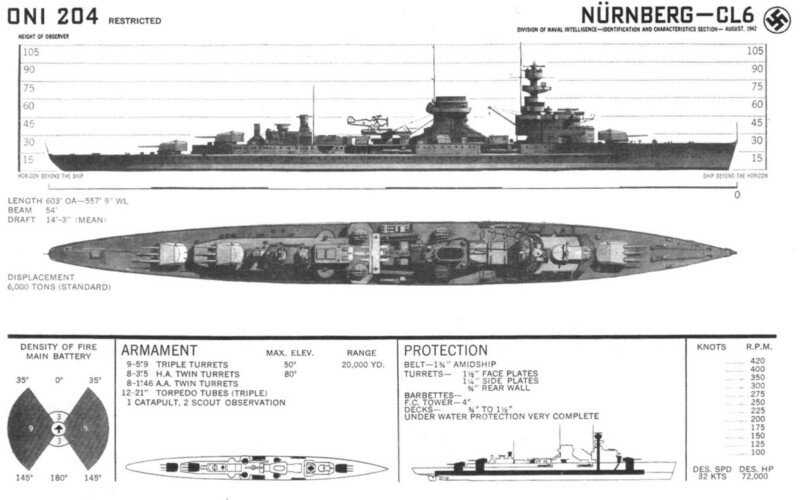 The special feature of the Königsberg class was the placement of the rear turrets. Placed 2m offset from the center-line all guns could fire to the front, above the superstructure. This was not often done because the blast could cause damage to said superstructure. The turrets could traverse with 6-8 degrees/second. That gives a 180 degree traverse time of 22-30 seconds. The guns could be reloaded in 7.5 seconds resulting in a rate of fire of 8 rpm. Additional armament consisted of 4×3 torpedo tubes (503, 533 since 1940) and 2x1x88mm DP (3×2 later). In the 1930s the ships were modified to carry 3 Scout planes and 8x37mm as well as 8x20mm were added. Armor was light. The armored deck had a thickness of 20-40mm, the belt was 50mm, the conning tower 100mm thick. Later additional 10-14 mm of belt and 16mm deck armor were added. A solid T5. Good firepower and mobility. The AA is mediocre at best. Although you have DP batteries and could therefore get the increase AA firepower skill, most of your AA will still be short ranged. The ship would be to fragile for T6. A unique design. I am looking forward to this. After reviewing the Königsberg-Class a improved version was designed, keeping the same main battery. 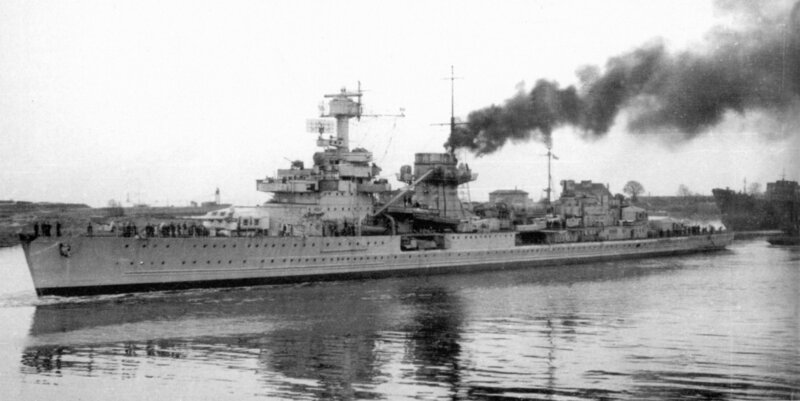 Two ships were ordered, the Leipzig and the Nürnberg although the Nürnberg was modified heavily and is considered a separate class by some. 177/181m long with a beam of 16,3m the ships displaced 8100/9040 metric tons. The rear turrets were positioned back at the center-line. Improvements to the engine and armor were made. Especially the Nürnberg received a new armor alloy (Wotan Hart). To sum it up, most of the armor was increased by 10-20mm. 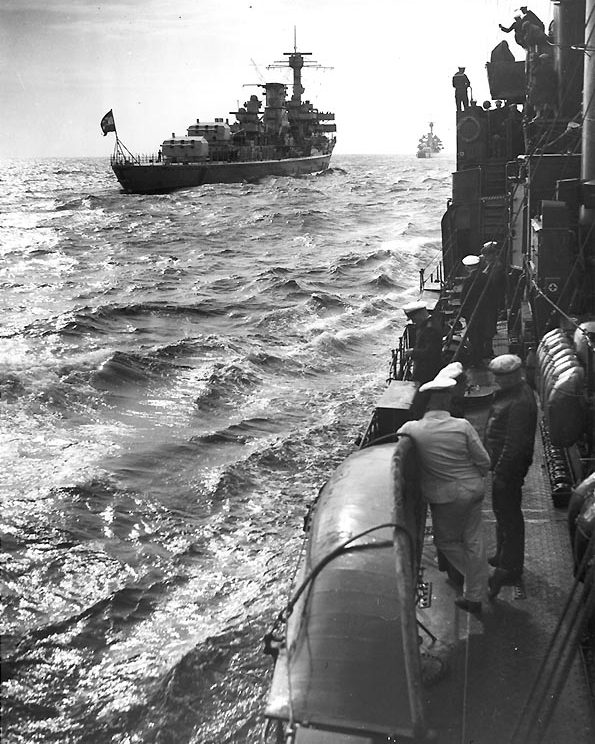 Both ships had seaplanes and 4×3 torpedo tubes (Leipzig first had 503mm, later on both ships had 533mm tubes). Leipzig had 2x1x88mm as initial AA which was later improved to 6x1x88mm, 8x37mm and 14x20mm. 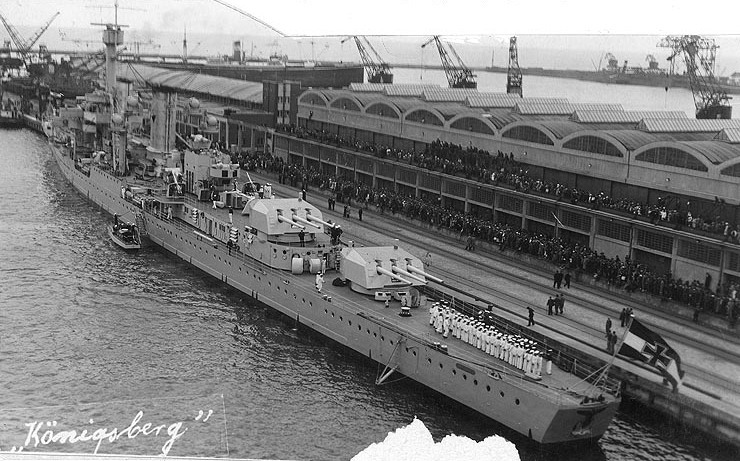 Nürnberg was initially fitted with 4x2x88mm 4x2x37mm and 8x20mm. This was later improved by 2x4x20mm, a new version of the 37mm guns (doubling rate of fire) and a plan to mount the 40mm Bofors guns. Between 1941 and 43 new radars as well as radar warners were installed. Capable of a speed of 32 knots these ships were described as exceptionally maneuverable due to a balanced rudder and a special gear to support the rudder. An improvement over the Königsberg-Class. While the primary firepower doesn’t improve, the secondaries become better as well as the AA. Armor and maneuverability are increased and therefore it is a suitable T-6. 20m shorter than the Cleveland and 5 than the Aoba these ships would be the smallest T6 so far. After 1933 a naval re-equipment program was considered. Several suggestions were made and in 1939 Hitler ordered the Z-Plan to be realized, which emphasized a focus on commerce raiding. One part of this plan was the M class cruisers with 6 ships. Inspired by the British Southampton and the French La Galissonnière cruiser classes the M-class should have been 183m long and with 17m beam was calculated to displace 8500 tons. Speed was 35,5 knots. 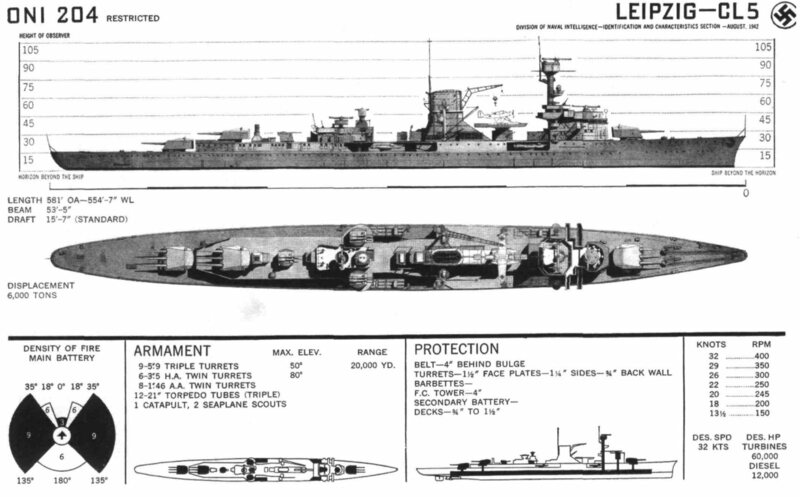 The 8 150mm main guns were to be placed in 4 dual turrets (2 at the bow, two at the stern). 2×4 torpedo tubes were to be fitted as well as 2x2x88mm DP guns, 8x37mm and 4-8x20mm. An improved version of the M class was the Q class which featured more crew space, improved AA (1×2 88mm and better fire control) and 0,5 knots more speed. Most of the new features of this class don’t give you anything in WoWs. More range for example. I see this as a sidegrade to the Leipzig class. A little less firepower but faster. Eight 5.9 inch simply won’t do the trick at T7. Based upon the Zerstörer 1938A this was a supposed recon ship (Spähkreuzer literally means scout/recon/watching cruiser) as part of Plan Z. 22 ships were planned, which would have been a hybrid between destroyers and light cruisers capable of 35,5 knots. The initial design was supposed to be 152m long and have a 14,8m beam. Displacement should have been 5713 tons. Armament should have consisted of 3x2x150mm, 1 at the bow, 2 at the stern together with a dual 88mm Flak. 2 quintuple 533mm torpedoes were mounted amidships (like at the Fletcher class). 8×37 and 8x20mm was the intended AA. After the first combat experience various changes were made resulting in the Spähkreuzer 40. 10m longer and 1,2m wider, displacing 7500 tons and 0,7 knots faster (36,2 knots). Armor was improved from 10mm to 20-25mm at the deck and from 18mm to 20-25mm at the belt and additional 2 88mm guns were added. These ships would be lacking identity. Too weak to be cruisers in adequate tiers and too big to be destroyers. These ships would be destroyer hunters and capable of hurting other cruisers (although not as good as dedicated cruisers). They could be used to connect the cruiser and destroyer trees but starting at cruisers, otherwise you would go from T8-9 destroyers to T5 cruisers. Since you can either choose historical progression or gameplay wise logical progression you see where we end up. I have to admit that these ships would be tough to balance properly. Splitting the 38 and the 40 would seem logical because the difference would be too large to be a hull upgrade. The tech tree for cruisers will be included in the next post which will feature the heavy cruisers and will be out in the next days.